It’s time to sit in comfort, and not traffic for your spring, summer and holiday travel with Amtrak’s latest flash sale on long distance and state supported trains, exclusively available at Amtrak.com. Starting today, through Thursday, January 31, customers can take advantage of the low prices from the sale, celebrate “National Plan for Vacation Day” on Tuesday, January 29, and book travel across the entire national network on some of Amtrak’s most popular trains, including the California Zephyr between San Francisco and Chicago, the Coast Starlight between Los Angeles and Seattle, the Lake Shore Limited between Chicago and New York City/Boston, and more from Monday, March 11 through Monday, July 8, with no blackout dates. Since the sale is valid during the spring and beginning of the summer, passengers can take advantage of this sale for their Memorial Day and Fourth of July travel and other spring and summer trips. With spacious seating, Amtrak customers can relax and ride the rails to visit the most popular cities in the country for their travel, whether it’s to catch a baseball game, experience a summer music festival, explore a new city, relax at the beach, or to enjoy an outdoor biking or hiking adventure. 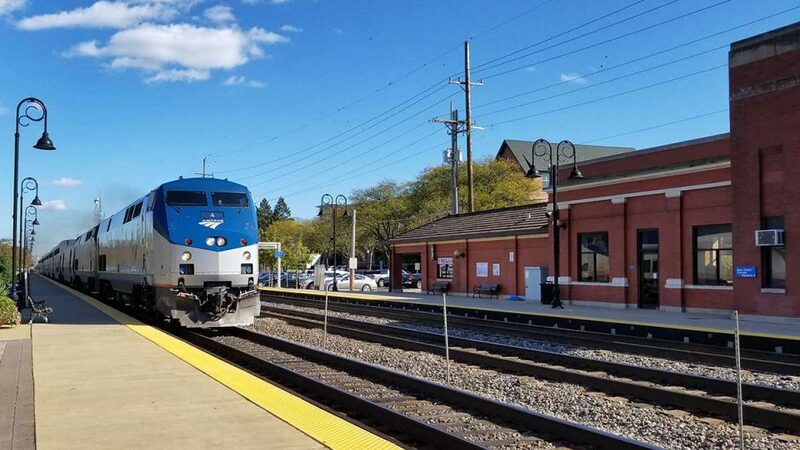 Amtrak offers free Wi-Fi, the ability to travel with small pets on many trains, large spacious seats with ample leg room, and one of the most generous baggage policies in the travel industry, applicable for two personal items and two carry-on bags. All prices will be automatically discounted from the standard fare price. No discount code is needed; prices are as shown and can’t be combined with other discount codes. Sale prices are available exclusively for one-way Coach Class fares; upgrades to Business Class or First Class are not permitted. Seating is limited; seats may not be available on all trains at all times. Fares are subject to availability. Other restrictions apply.